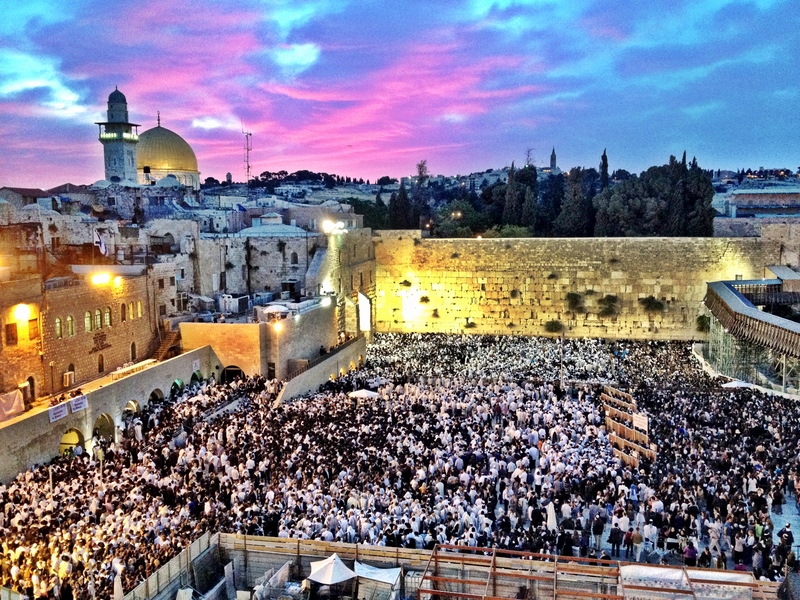 There is an ancient Jewish tradition regarding an eternal, concentrated divine connection to the city of Jerusalem, and more specifically to the Temple Mount. What was known as Har Hamoriah (Mount Moriah) within Jerusalem is attributed as a focal point of God on earth going as far back as Adam, continued with Abraham and the binding of Isaac, and formalized when King David bought the land as the site of the Temple which his son Solomon would build. However, if we look in the Five Books of Moses, Jerusalem is not mentioned in that regard. Instead, we repeatedly get the mysterious phrase “the place that God will select.” Only after King David’s conquest of Jerusalem and the building of the first Temple, do the other prophets of the Bible refer to the holy city with love and yearning. If the nations of the world would have known that prayers and sacrifices made in Jerusalem are accepted, they would have gone to battle for it, causing great bloodshed. If the Canaanites living in Israel at the time would have known that the Jewish nation were to conquer its land and worship God from Har Hamoriah, they would have destroyed the place with every means at their disposal. Subsequent history did prove that Jerusalem became a place of great bloodshed and destruction as well as a point of contention between the tribes of Israel, with the Temple on Har Hamoriah being the pivotal point of the conflicts. However, the many prophecies about Jerusalem also promise that it will become a city of peace, a city of brotherly love, a city of wisdom, of justice, of light, of instruction. Its spiritual power is indisputable and a source of inspiration and longing for more than just the Jewish people. May we live to see all of the prophecies of Jerusalem fulfilled, and get to enjoy and bask in its spiritual light. To our son Elchanan, on staring his active military service.